Santa Anzo threatens to spill the bins after Sylvia Owori called her a female dog. 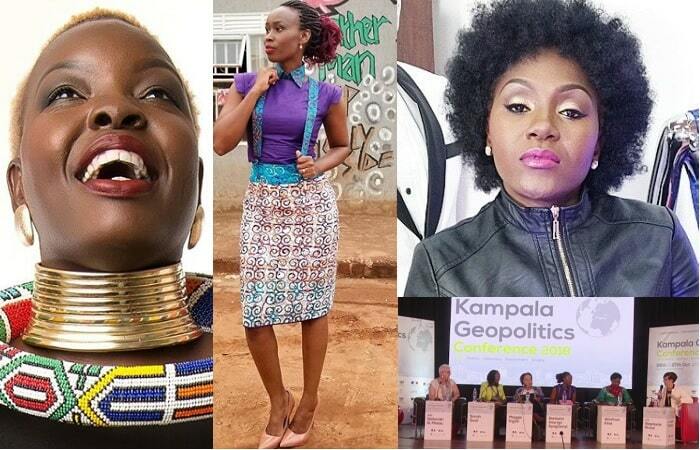 The war between Sylvia Owori and Barbie Kyagulanyi has taken a whole new twist after another fashionista joins this seemingly unending war. Santa Anzo is on the receiving end of not so kind words from none other than Sylvia Owori who is still getting to terms with the fact that Barbie Kyagulanyi was a panelist at last month's Geopolitics Conference that saw participants discuss who a Powerful Woman was, and that has not yet sunk with Sylvia Owori. "l will choose to help shine another woman's light. You #BarbieItungo deserved to seat onto that panel and ably deliberate on issues that touch the very moral fabric of our being as women. I felt proud, very proud. I still do." "Also, please help tell your fans for me, that indeed l feel and share their pain of the attack on you. It is regrettable to say the least. However, for some of them to turn the heat on to fashion, and shred a credible discipline to pieces is uncalled for." "This has nothing to do with FASHION as a profession and career, this attack on you has everything to do with individual character traits. Tearing another woman down has never been fashionable, in fact FASHION is a statement, and indeed a testament of women empowerment." "May l now, humbly present my heartfelt compliments to you-officially," Santa showered Barbie with some love right there. "Sylvia Owori just called to insult me for the message l sent to Barbie ...Now, l made it a point in my previous post to keep it light and positive. I directed my message at #BarbieItungo, l made it a point to not say nothing negative...not even about Ms. Sylvia Owori, l chose to not mention her name, this has been my divine strategy through the years." "Well, lady......first and foremost, Act like the big sister that you ought to be, to all of us....yes YOU are the Big sister. Embrace it and act it. "You asked me to leave issues of generals to generals....well act like a general would."